The Blood of Sargeras issue just would not go away, and World of Warcraft devs treated us to a Twitch Live Q&A especially on Professions. Josh Allen, aka Lore, and Paul Kubit hosted, and sprang straight away into the Blood of Sargeras issues. For those wondering, I also broadcast on Twitch occasionally, although I’ve had to cut back recently just like my blogging, so I can focus on researching Legion Beta and writing The Big Pro Guide! Josh gets more and more professional every time I watch him and it was nice to meet Paul Kubit, Senior Game Designer for Professions. 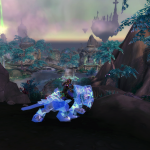 Paul had previously been working on quest design in Warcraft, and this may explain why there are so many amazing quests for Professions in Legion. He wasn’t the WoD professions guy. Paul put my mind to rest somewhat, and I’ll summarise some points here and my thoughts about them. 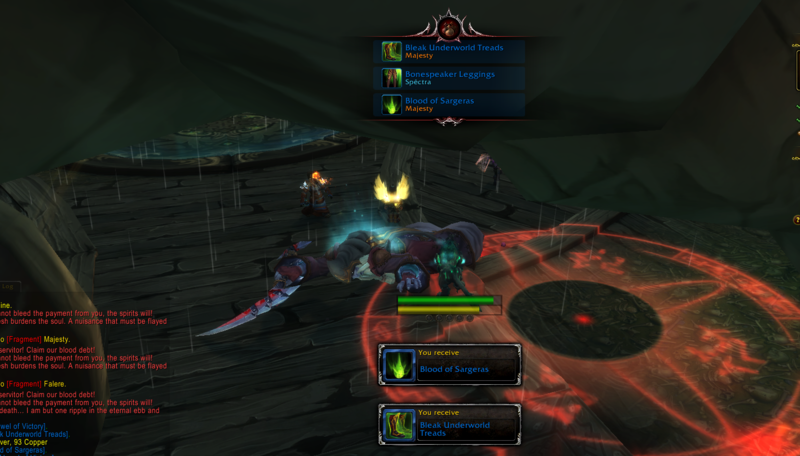 Blood of Sargeras was something I noticed early in the Alpha, originally BoE, and then becoming BoP. If you want to follow the story, do go back and read the last two posts about Blood of Sargeras. Paul Kubit is reading feedback and wants more feedback. If you have feedback and can’t post it because you’re NOT on the beta, let me know and I’ll pass it on for you. This was a welcome relief to me, and probably to you, that it is meant to be a measure of effort, equally, and not a reward for gatherers. Having a gatherer/crafter character is not meant to have anything more than a minor advantage over other profession pairings. The minor advantage is meant to make up for not having a crafter to use the bloods. 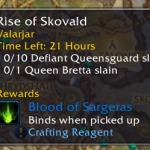 They have adjusted crafter-specific world quests (eg bring a leather hat to Court of Farondis faction, receive a blood reward), to be more rewarding. They have adjusted gatherer world quests in the opposite way. Devs have also retuned some professions where some professions required more blood (eg blacksmith, leatherworking, tailoring) and some (eg alchemy, enchanting) had no need for blood. These are more equal now. The Shoulder Enchant Boon of the Bloodhunter will require only revered with the faction Wardens, not exalted as in the current version of Beta. This is still hard to obtain but not a months-long slog. 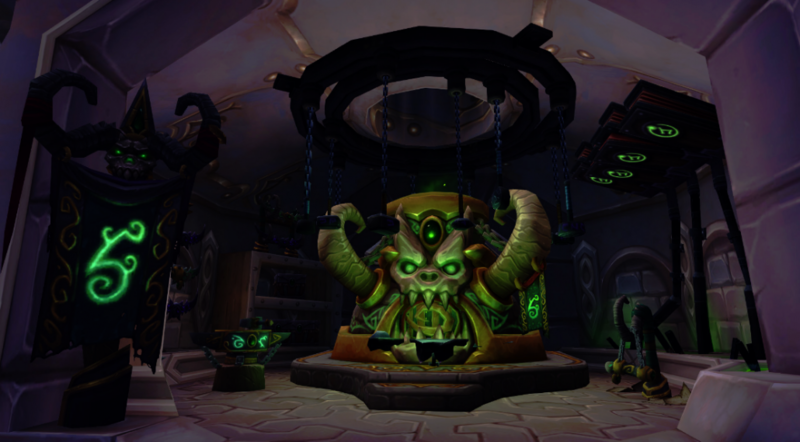 Other Blood of Sargeras problems are being addressed as they rise, and devs *are* open to suggestions and feedback. Dual gatherers who have a lot of Blood of Sargeras and nothing to use it on, will be able to use the Blood to gain Obliterum. The Obliterum forge makes obliterum ash in a similar manner to disenchanting an item. 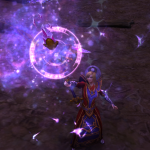 Obliterum is an item you get at max level increase power of crafted gear from ilevel 815 > 820 up to 850 in current patch. Obliterum also has a Blood of Sargeras cost. The cost was adjusted to be higher so better dump for ppl with lot of useless blood. Devs will be continuing to tune this before launch. Unfortunately I haven’t tested Obliterum yet, as some materials required cost over 6,000,000g to purchase on the Beta. Make Blood of Sargeras Bind on Equip or Bind on Account? 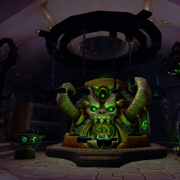 Blood of Sargeras will not become BoE because it is used in Obliterum, in order to prevent players from simply buying a wowtoken then purchasing a full set of top gear. Devs want Blood to be a measure of your effort. 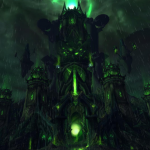 Blood of Sargeras can not become Bind on Account, even though that seems like the easiest solution, because Devs do not want players to feel forced to have a full stable of alts in order to compete with each other. 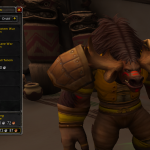 Towards the end of Warlords of Draenor, it had become almost mandatory for players to have a full set of level 100 characters and take them all one by one to kill Kazzak and loot the Felblight for the Auction House. They want to avoid this feeling of being forced to do something in order to remain equal. Players in WoD with a lot of gold were gated from buying a full set of crafted item because of a limit on number of crafted items were equippable at once. This is lifted now, so a full set can be crafted and worn, but the level of the items is gated instead by Blood of Sargeras, a measure of your personal effort. For me, as long as effort reward is equal, it does not matter whether the reward is rare or common. It was the inequality of professions pairing that made me furious. 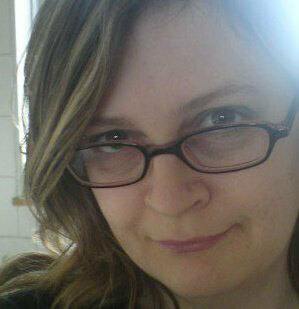 This is better now. If you are starting Legion for the first time, on a fresh new alt (demon hunter!! !111) or just starting playing warcraft for the first time, take a dual gatherer to start with, and collect many Blood of Sargeras along the leveling path. You will get slightly more blood, and you’ll get extra XP too. 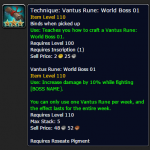 Drop one gathering profession and take a crafting profession once you start getting into level 110 and heroics and max level battlegrounds. You will have a slight advantage, with those extra bloods, for a short time. Dual gatherers, stay dual gathering, unless you want to be a crafter. Tailor/Enchanters, you can now get blood from disenchanting, to use for your tailor. Dual crafters, take the same advice as I gave in the last blog post. Look very closely at how difficult it might be to lose one crafting profession. I will be re-jigging all my dual gatherers and dual crafters except where I have irreplaceable patterns. I know that I don’t have to delete those patterns now. Characters that can tank or heal, you should learn tanking or healing on a second spec, so that you can get into those dungeon queues faster, and make more Blood. Start practicing now with the heroics and mythics in Warlords of Draenor. If you have a choice between learning tanking or healing, then learn healing, because there will be an influx of Demon Hunters, who will be learning tanking for the same reasons as you. Do you remember the hell of Hellfire Citadel level 58 Death Knight tanks when WOTLK was released? Tailors: There will be no new bags in Legion (yet?) so Hexweave Bag remains very important to sell. Shal’dorei cloth will drop from humanoids which you can grind, no need for a “legion barn”. Patches: More recipes and quests will be added in Legion Patches. Archaeology for example has a questline that rolls out over time. ps I will be closing the Garrison Gold Guide tomorrow! While I agree that the situation is better than it was, it’s still irksome. :/ If the rate of gathering blood is “a measure of effort” (i.e., how much you’re playing the game) then not having it BoA goes against that premise. I’m going to need to play on my double crafting main who will likely be blood starved instead of playing the double gathering alt I really want to play that day regardless of the fact that I consistently play 6 hours a day on average. In other words, I’ll be better off playing one character for 6 hours rather than 3 characters for 2 hours each. I know you can’t please all of the people all of the time, and I understand that they don’t want players to feel like they have to have a stable of alts to be competitive, but I still thinking making Blood BoA would be the more fair route, because without it it feels more like an alt penalty rather than a true measure of effort. I think it is a per-character measure of effort rather than a per-account level of effort. However, in a recent build according to Wowhead, it looks like blood was removed from a lot of the armor crafting professions, which should make pure crafting alts less annoying and more feasible. They also added some blood requirements to enchanting which I wasn’t happy with until just reading here that disenchanting can produce blood.